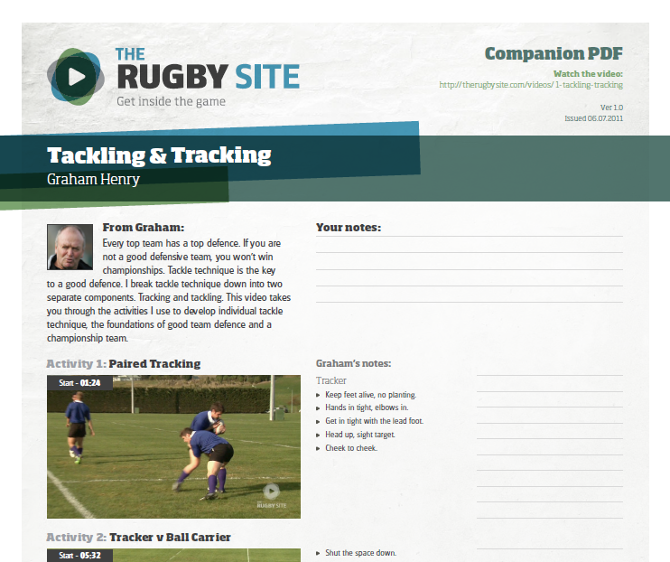 Each of the video courses that are delivered by a coach on The Rugby Site are accompanied by a PDF. This is a document which includes notes and key points from the coach that delivered the course. The PDFs include screenshots with the relevant time in the video as well as a space for you to make your notes so that you can remind yourself of your own key points during your session. Hit download and you'll see a pop-up box. 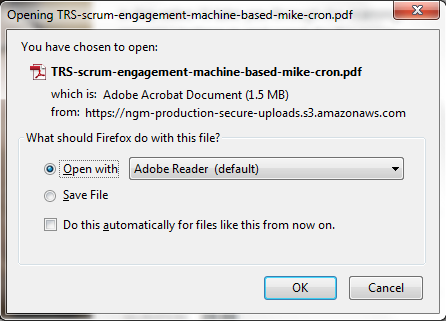 Select 'Open with' and choose 'Adobe reader' from the drop-down menu. This will launch your PDF. Once you have opened your PDF you can save it to your computer or print it in order to make your notes.